A Supreme Court Bench comprising Justice Dipak Misra and Justice N.V. Ramanna has asked Central Food Technological Research Institute, Mysore to clarify whether levels of lead and glutamic acid in Nestle Maggi were within permissible limits and to clarify whether these are within parameters prescribed under the Food Safety Act. The matter has been posted for April 5, with a direction that the entire exercise should be carried out within a period of eight weeks. The Court’s order came on a perusal of two communications received from the Government laboratory which had carried out the test about the monosodium glutamate (MSG) content in the samples. Hearing the Food Safety and Standards Authority of India’s petition, the Court reportedly said that the issue needed more attention as the product is being consumed by youngsters. Nestle India contended before the Court that the lead content was within the permissible limit prescribed under the Food Safety Act. The Centre however averred that a comprehensive finding on all parameters was necessary. The Court gave the laboratory, liberty to make requisition for more samples if necessary. In case of such requirement, it said, the Court may connect to the joint registrar, National Consumer Disputes Redressal Commission (NCDRC), who was appointed as local commissioner. He shall collect the samples from FSSAI godown in Lucknow. FSSAI has challenged the Bombay High Court order which had lifted the ban on Nestle Maggi noodles, observing that principles of natural justice were violated while imposing the ban. The Division bench comprising of Justices V.M. Kanade and Justice B.P. Colabawalla, observed, “Though Respondents have been shouting from roof top that their action was in public interest as they found that the food which was contaminated by lead beyond permissible limit was unsafe for human consumption, they promptly swung into action and banned the product. The said tall claim has not been substantiated by them before us. Merely stating that the food was unsafe or that the action was in public interest is not sufficient.” You may read the judgment and LiveLaw article here. The Government had then filed a 640 crore class action suit on behalf of the large number of consumers of Maggi in the country against Nestle India on grounds of unfair trade practices, sale of defective goods and sale of Maggi Oats Noodles to the public without product approval. An appeal was filed in the Supreme Court as well, challenging the Bombay High Court decision. 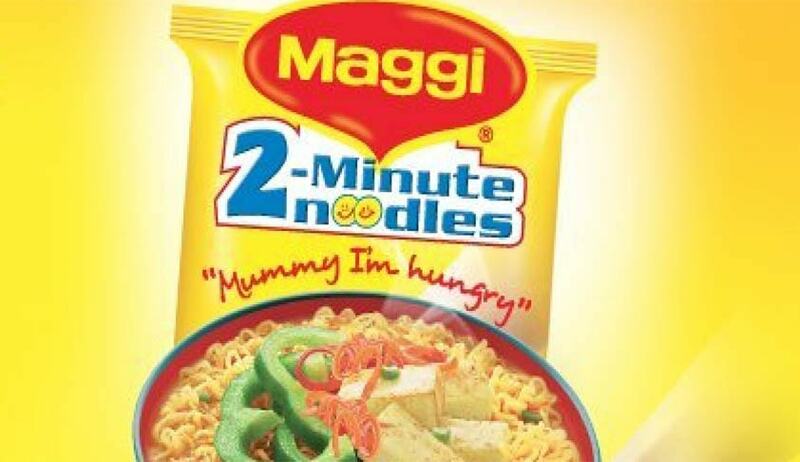 Hearing the appeal, the Supreme Court had ordered fresh tests on Maggi in an accredited laboratory at Mysore and not in Chennai as sought by the National Consumer Disputes Redressal Commission (NCDRC). The Court had also stayed the proceedings in the case that was pending in NCDRC. You may read the LiveLaw story here.